Date: 12.03.2018 | House, Dance, Club, Disco | Tags: 90s, 90s Dance Hits, Quadrophon, Da Music, Whigfield, Dj Bobo, Chicane, Reel 2 Real, Wamdue Project, Suzanne Vega, Brooklyn Bounce, Azzido Da Bass | Download 90s Dance Hits Vol. 1 (2018) for free. Long live the 90s! It's already been over 25 years that the foundation for the club and dance-scene, as we know it today, has been laid. Numerous Hits that conquered the charts arose during the legendary 90s and they are still known	by everyone. 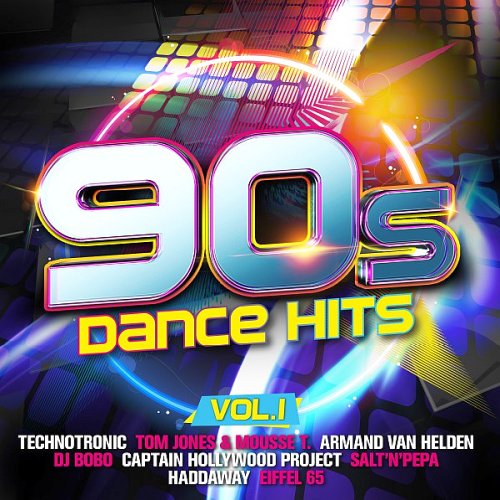 90s Dance Hits Vol. 1unites the biggest anthems of this aera on 2 CDs and takes you on a journey through time. Gypsy Woman is a song by American singer Crystal Waters from her debut album Surprise. Free is a song by American recording artist Ultra Nate by her record label Strictly Rhythm. The song was co-written by Nate , Lem Springsteen and John Ciafone while production was held by both Springsteen and Ciafone. More and More is the Platinum selling crossover hit recorded by the 90s eurodance music project known as Captain Hollywood Project.